Barn lights are a fixture in many American industrial locations as well as in businesses, restaurants, and other settings across the country. That's because they seamlessly blend the need for style with the utility business and home owners require to keep their outdoor spaces safely and effective illuminated. Additionally, these gooseneck barn lights are ideally suited for use as sign lights, since the arms can easily wrap around signs and awnings to maintain a targeted beam of light that highlihgts only what you want to showcase and not the surrounding areas. Aside from their practical purposes, our goosenecks are made for style. Their wide shades and slender necks offers a fashionable appearance with a rustic vibe that is equally well suited for retro, modern, or even traditional homes. Additionally, they come in a range of color options to ensure you find something that coordinates with your décor. If not, then just ask about custom color matching features, which allow you help us create a color that perfectly enhances your home. Each of these lights comes with other customization options as well. Choose from alternative shade sizes and styles, as well as various arm bending configurations to ensure a perfect fit around signs, or for the display of monuments, flags, and other outdoor décor pieces. 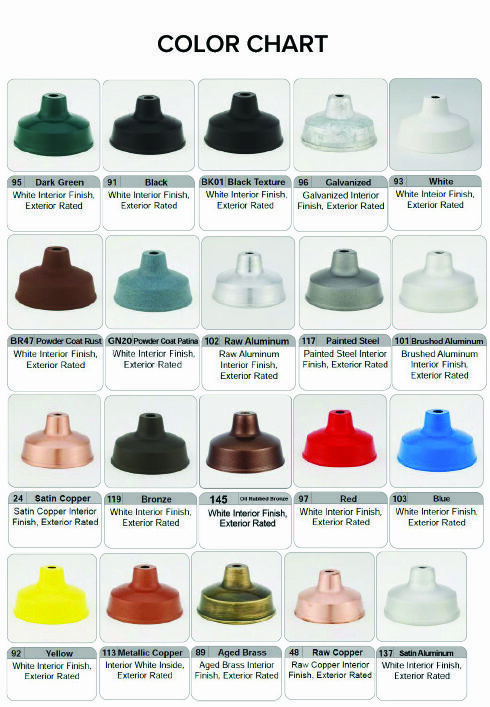 Every light is powder coated to prevent rusting, corrosion, and other weather damage, even in areas with inclement weather or direct sunlight.